Hello! How’s everything going for you? Chill or not so chill? I think we’re pretty good here. Nearly the school holidays for us so things are winding down quite a bit. Here’s what’s been going on at chez iris and edie this week. Last week Isabel wrote about making a muesli slice. I don’t make muesli slices very often but I do make my own muesli and this week I needed to replenish my stores. I’ve been making my special mix for MANY years. I’ve popped the recipe – such as it is! – at the end of this post in case you want to give it a go. I started making my own muesli so that I could specifically tailor it to my taste. There was always something in the packaged mixes that left me saying ‘but I don’t like …’. Two big spoonfuls with yoghurt and some fruit keeps me firing til lunchtime. I’ve started! 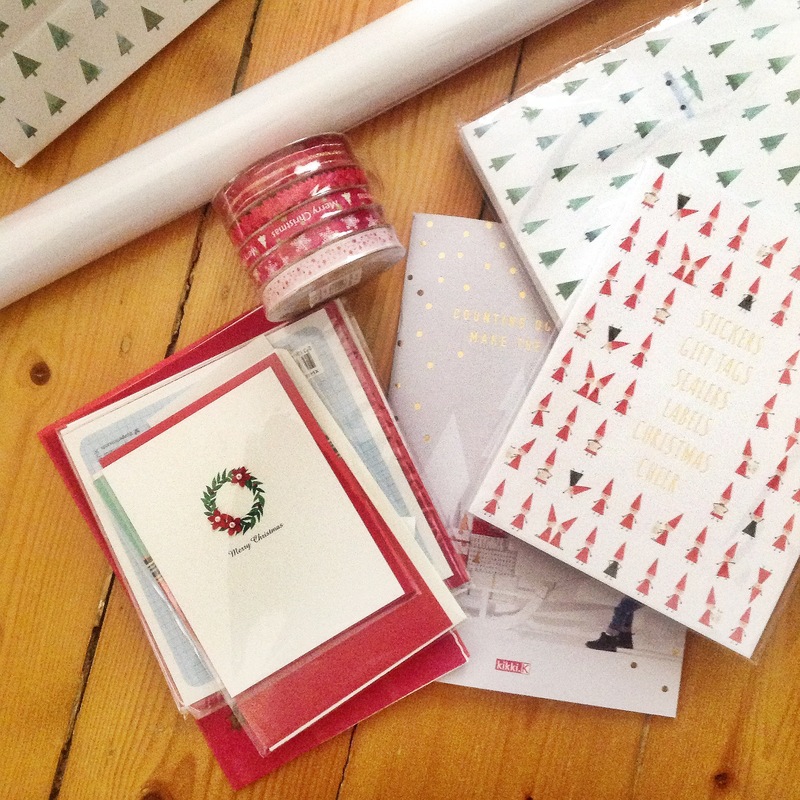 Okay, so I haven’t got very far on the actual present buying front, but I have bought Christmas cards for the nearest and dearest, the wrapping paper, Christmas serviettes and bonbons. Now I just have to keep going! Every week when I go to yoga, I drive down this street. At the moment, many of the trees are flowering with beautiful orange-yellow blooms creating a golden canopy to drive beneath. I have no idea what the tree is called. The flowers are a bit like a banksia but sit horizontally rather than vertically. Anyone have any idea? I think they look very pretty. No matter how many times I turn into the street, it always comes as a happy little surprise to see this golden beauty. On Saturday afternoon, my man and I went for a walk beside the Yarra. I wrote about our afternoon here. ‘Twas a nice way to spend a couple of hours. Topped it off with dinner and a movie with friends. Happy day! Do you make your own muesli? Are you a sweet or savoury breakfast person? Have you had nice times with your partner or friends this week? If you want to see what others have been up to, pop over to Isabel’s blog. Spread the the above ingredients on an oven tray and pop into a 180 degree Celsius oven to toast. Check every couple of minutes to ensure the mix doesn’t burn. Remove from oven when the house is smelling nice and nutty. Cool, put into a big container then add the following ingredients. Give it all a big shake to mix it around. This is my standard combo but it depends a bit on what I have in the pantry. Play around and create your own mix. Like it fruitier? Add dried apricots or dried apples. Nuttier? Walnuts, pecans or hazelnuts. You could whack in some wheatgerm for extra fibre if you like. Hello Carolyn! I am loving your blog lately, Such a nice slice of Melbourne life. I was telling Steve about your photos of your walk along the Yarra on a sunny afternoon, and we started reminiscing about when we lived in Collingwood and used to go for that same walk all the time. 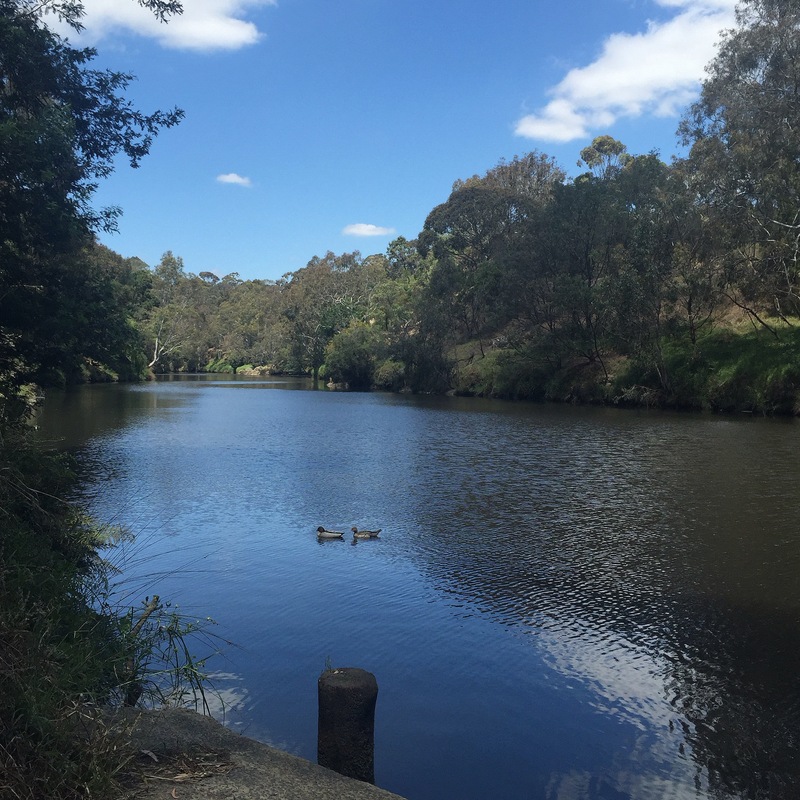 It’s such a beautiful part of Melbourne, you really could be in the countryside/bush couldn’t you? I’m afraid I can’t help you out with tree identification – my Mum could, but she’s not around for me to ask unfortunately 🙂 I have made my own muesli before but not for ages…thanks for the recipe, will have to make some when I get home. Those blueberries and yoghurt on top look delicious – ah, yoghurt, how I miss you! I am a muesli for breakfast person, but over here it’s so expensive so I’ve turned into a toast or porridge for breakfast person. But that is all about to change v soon. Have a nice week, and thanks again for joining in with One + Four! Would you believe that there are only four more Sundays left of 2015?! Ah! Thanks, Isabel! Porridge is good too especially with toasted nuts and seeds on top for a bit of crunch! It is such a lovely space in Melbourne. I think we are very lucky to have this quiet space so close to town. And I love seeing people out and about being active. Four more Sundays! Not long to go!